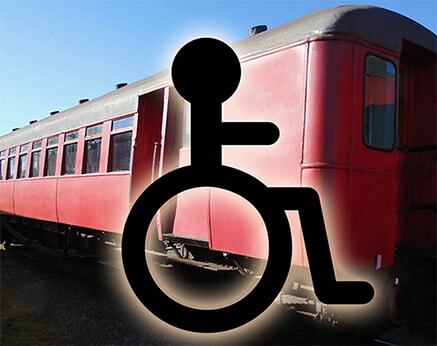 Trains operate on the first and third Sundays of each month, and on selected public and school holidays. With Fire restrictions now removed Steam is back. So come along for a ride in the country and enjoy the smell and sight of steam! Vouchers must now be redeemed to make a booking. If you have an old printed Voucher please get in touch so we make arrangements for you. Have you been back in time yet? 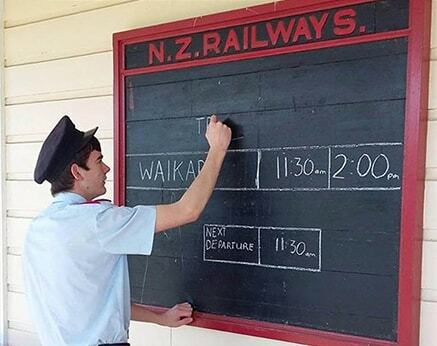 The volunteers who form the Weka Pass Railway warmly welcome you aboard. 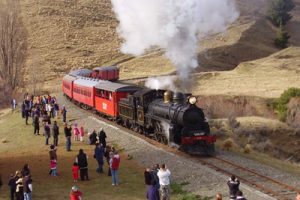 We operate excursion trains, hauled by both vintage steam and diesel-electric locomotives, over 12.8 km of scenic line through the unique limestone beauty of the Weka Pass. The Weka Pass Railway is a historic rural railway using both vintage steam and diesel-electric locomotives through the unique limestone beauty of the Weka Pass out of Waipara, where superior weather patterns provide crystal clear air and high sunshine hours. The Weka Pass Railway is a totally voluntary organization, whose members are dedicated to the preservation of New Zealand’s rail heritage. Initially, the railway runs across flat farmland and passes a large irrigation reservoir and vineyards, before climbing grades as steep as 1:50 ( 2%) as it winds through the cuttings in the Pass. One can only marvel at the achievements of the workers who in the 1880’s moved tons of clay and limestone by hand to form all the cuttings and large embankments. The Weka Pass section was completed in just over two years. The land was once under the sea and some of the surrounding limestone rocks have weathered into unusual shapes. Most notable are Frog Rock and Seal Rock, in the middle of the Weka Pass. Seashells and fossils may be seen in the walls of many cuttings. The line opened to Waikari in 1882 and extended to Waiau by 1919. It was planned to extend the line to the West Coast, Nelson and Picton. However, plans changed in the early part of this century and the main line now follows the coast to Picton. Regular passenger services were withdrawn in 1939 and the Waiau Branch closed on January 15th, 1978. The line to Waikari was purchased by the Weka Pass Railway Inc. after the end of a union embargo in 1983.